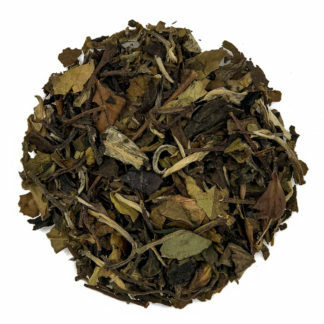 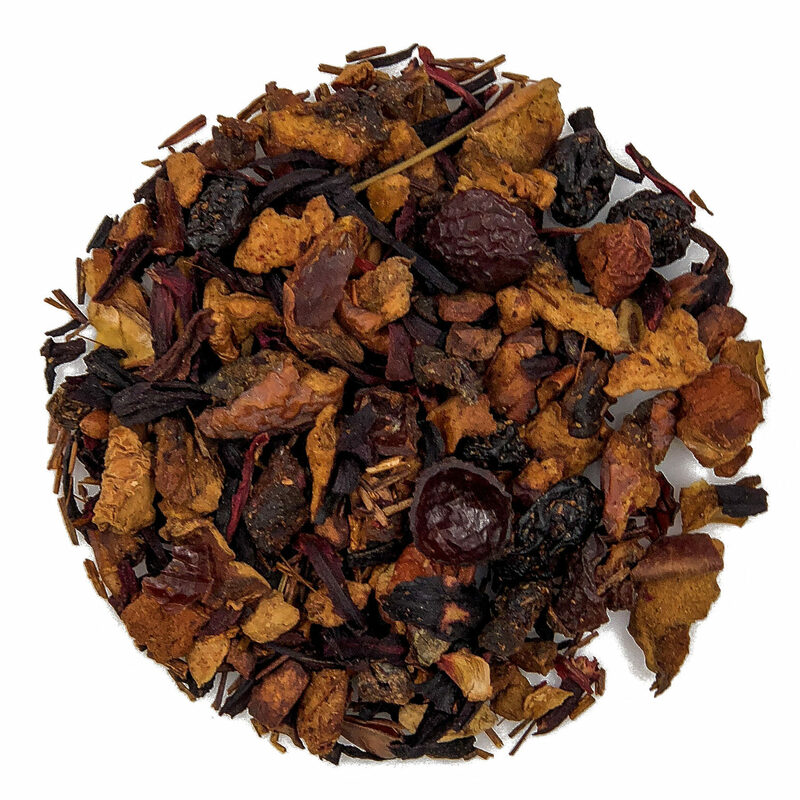 The heady fragrance of ripening apples that fills the air along the Shendandoah Valley on a sunny autumn day and mugs of steaming hot cider is what comes to mind when you savor our Cinnamon Apple tea. 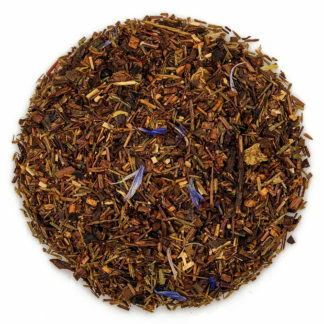 This fruit blend start with rooibos, a South African plant that is high in antioxidants and beneficial alpha hydroxyl acids to which we’ve added pieces of apple, hibiscus petals, raisins, rose hip peels and plum pieces all enhanced with a dash of cinnamon. 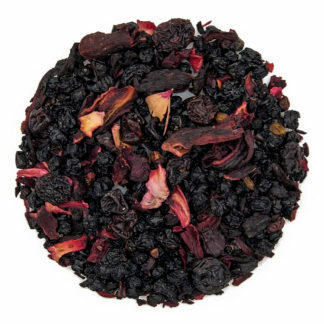 Naturally caffeine-free this fruit blend is enjoyable at any time of day. 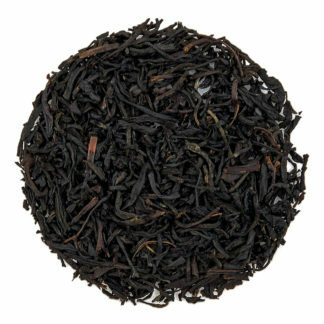 It provides a warm sense of well-being when sipped hot in the colder months. 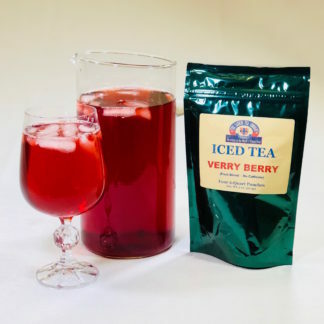 It’s also a light refreshing ice tea in the summer. 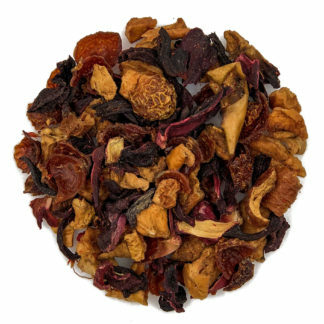 Ingredients: Apple, hibiscus petals, raisins, rooibos, rose hip peels, cinnamon, flavor & plum pieces (plum and rice flour).